Welcome to the Terror that is Upon Us. 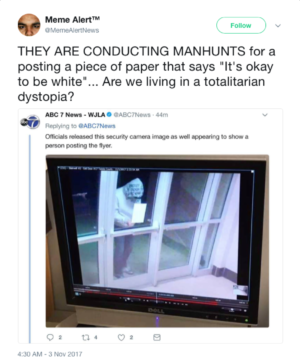 Orwell Alert: Video of the Day -- Libtards Perform "Two Minutes Hate"
I wish the sign would’ve said “it’s great to be white”. 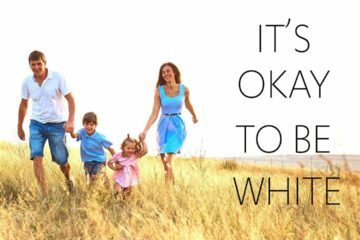 Wasn’t “It’s great to be White!” the motto on the masthead of Racial Loyalty, the periodical of Ben Klassen’s Church of the Creator? It’s that time of year for us to be thankful that our parents are White. With a life rune and a turkey pictured, how nice it would be to have that message posted about on paper! No, I have to argue for a little honesty here. 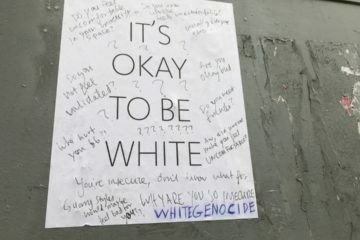 In this day and age, it’s downright PAINFUL to be White. Someone here attracted the attention of a known marxist anti-White politician, her reaction was, umm, intolerant shall we say?